DESCRIPTION: Upgrades to water and wastewater systems including: 10,000 GPD recirculating sand filter, 60,000 gallon cast in place concrete tank and lid, subsurface irrigation for athletic field, 34,000 gallon water storage tank, and new water treatment supply system. 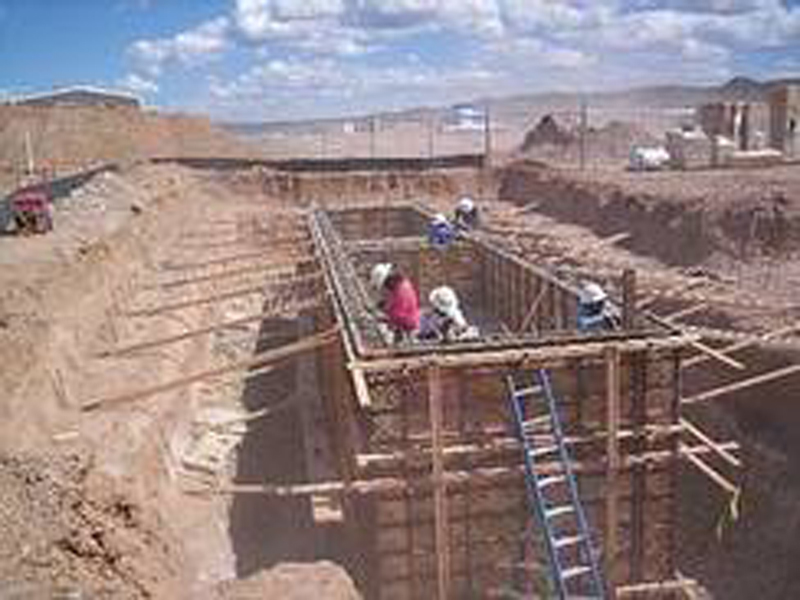 IWS completed a water, wastewater, and reuse infrastructure construction project in late 2005 at two Mesa Vista Consolidated Schools in Northern New Mexico. The two schools are located fifteen miles apart and were constructed concurrently with different scopes of work. The project was part of the district’s facilities upgrade program for water and wastewater systems. In addition, recycled water from the wastewater system at Mesa Vista Elementary School was reused to irrigate their athletic field. IWS self-performed all the construction work with the exception of the electrical installation. a 34,000 gallon above ground water storage tank with Grunfos Triplex booster pump and control system for domestic water and fire lines. The work completed at El Rito Elementary School included modifying the existing water supply system to connect to an on-site well and to eliminate the reliance on a more expensive community water supply system. IWS upgraded the pumps and control system for the domestic water supply system which included installing the associated piping, installing a chlorination system with injection pump, and remodeling the existing pump house.